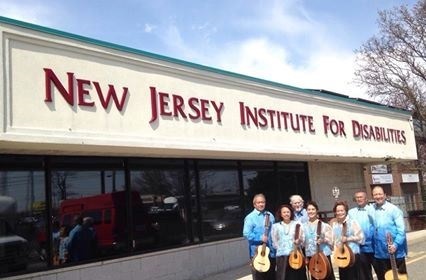 The UPAFR shared their music with the NJ Institute for Disabilities on April 13, performing at the Adult Training Center in Iselin, NJ, and at the Lakeview School for special children in Edison, NJ. 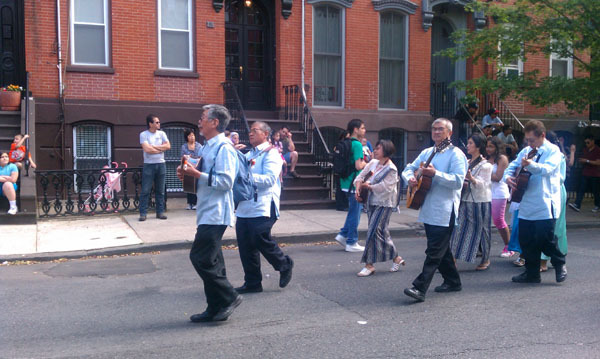 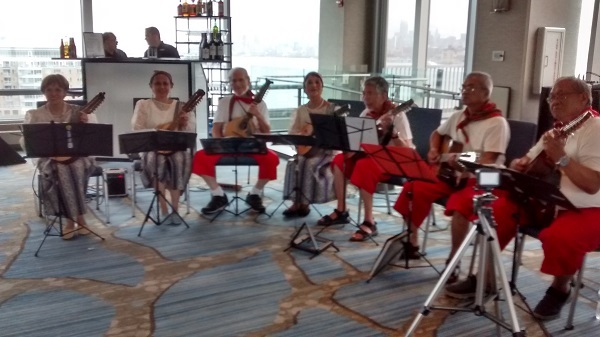 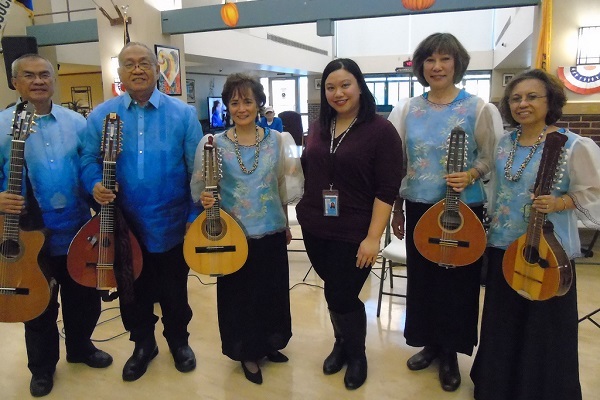 The audience enjoyed interacting with the rondalla music, shaking maracas, and singing along to the upbeat tunes. 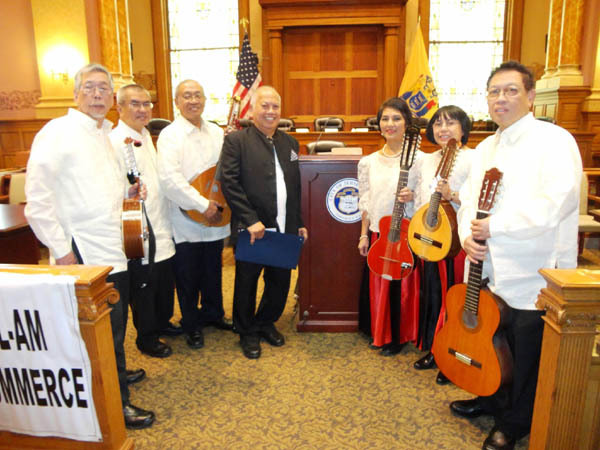 The concerts, which brought them a significant cultural experience, were made possible through grant funding provided by the Middlesex Board of Chosen Freeholders through a grant provided by the New Jersey State Council on the Arts/Department of State. 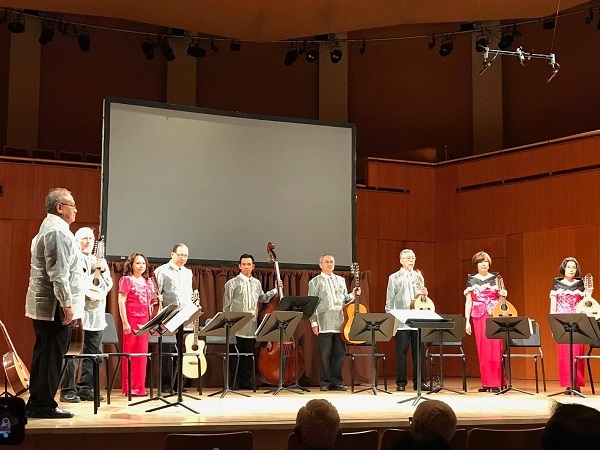 The UPAFR celebrated its 25th year with a concert in the Dorothy Young Center for the Arts Concert Hall at Drew University in Madison, NJ, on October 21, 2017. 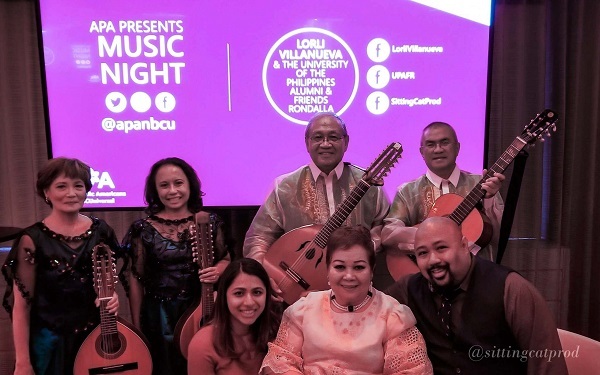 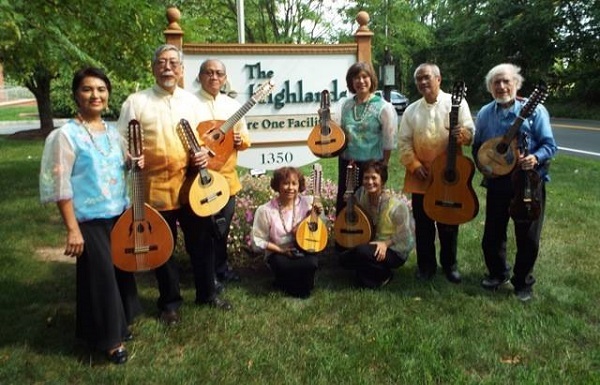 Proceeds were earmarked for purchase of musical instruments to benefit the Pagyamanin Likas Musika (Enriching Native Music) rondalla instrument lending program for underprivileged children in the Philippines. 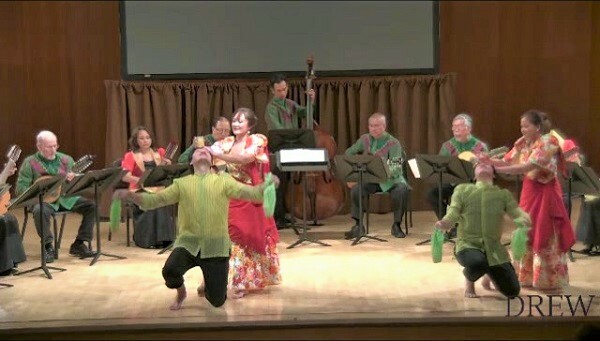 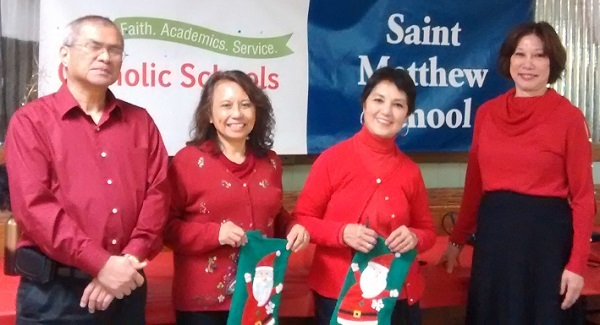 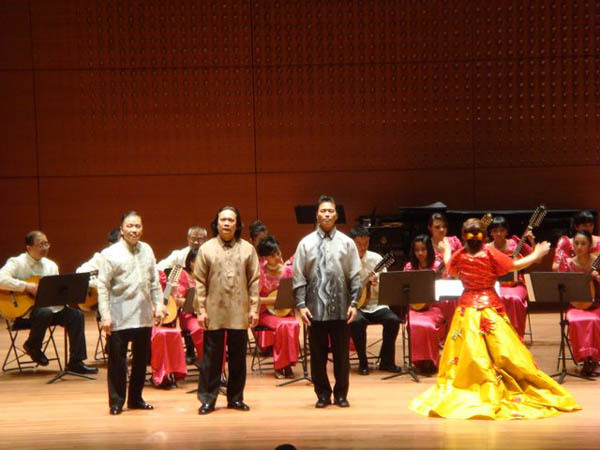 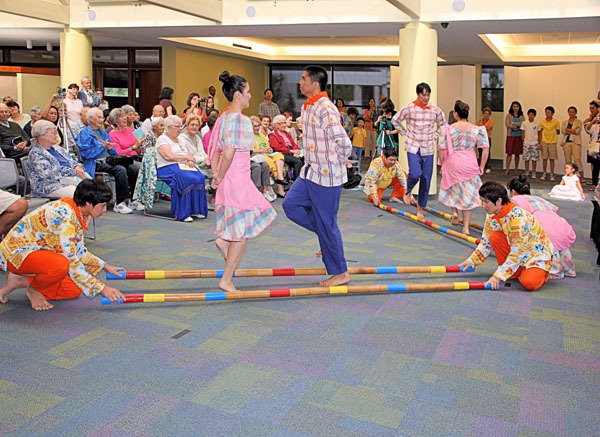 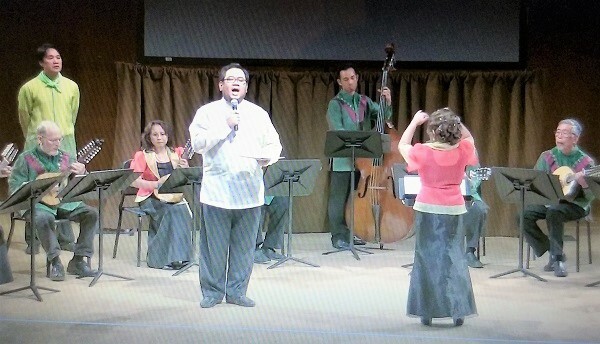 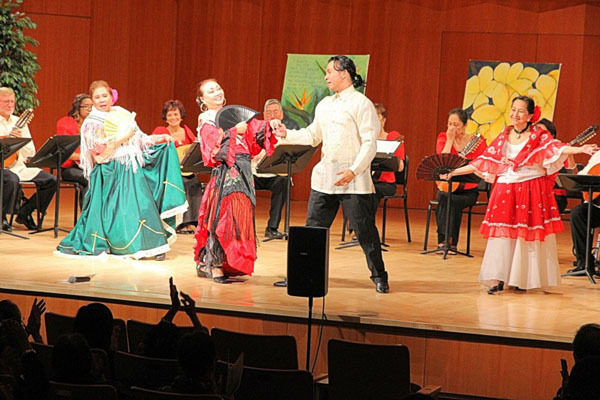 Guest artists included Tenor Anthony Lim and Ligaya Cultural Group dancers. 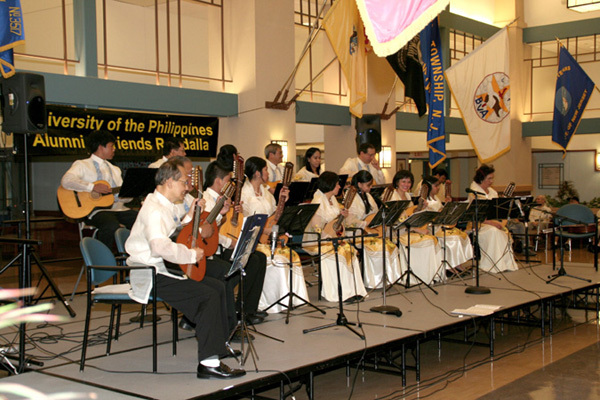 Ligaya Cultural Group, "Pandanggo Sa Ilaw / Oasiwas"
The University of the Philippines Alumni & Friends Rondalla performed with the Cantabile Chorale in honor of the memory of Lloyd Arriola, the only Filipino who has obtained a doctoral degree in piano from Julliard, at Christ United Methodist Church in Piscataway, NJ, on December 3, 2016. 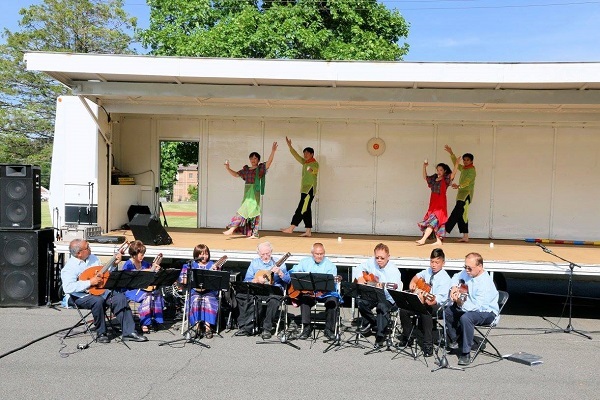 Grant funding has been provided by the Middlesex County Cultural and Heritage Commission, Middlesex County Board of Chosen Freeholders through a grant provided by NJ State Council on the Arts, a division of the Department of State. 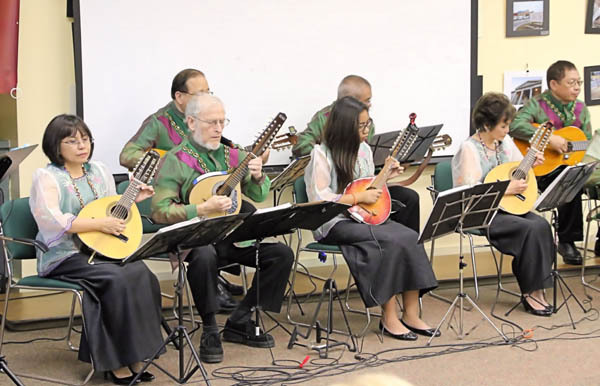 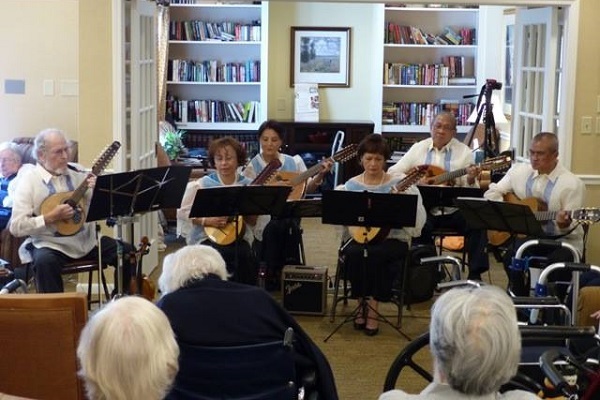 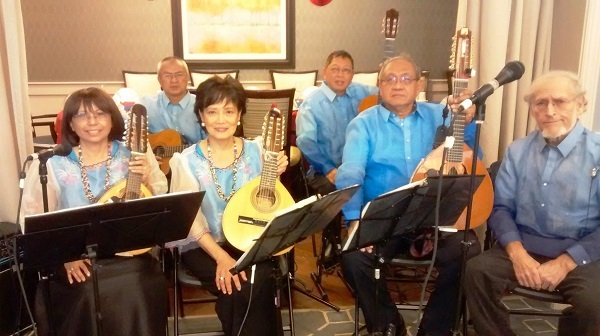 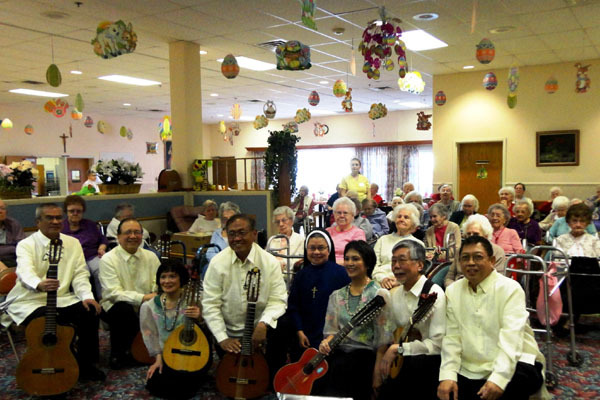 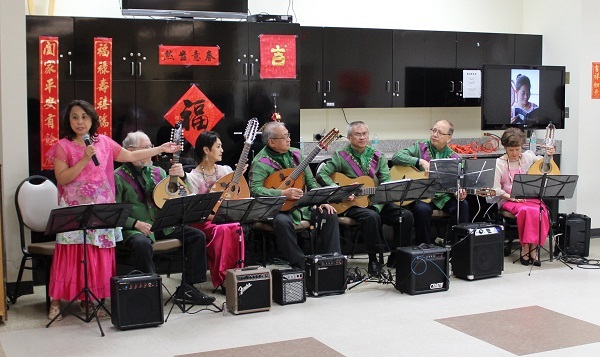 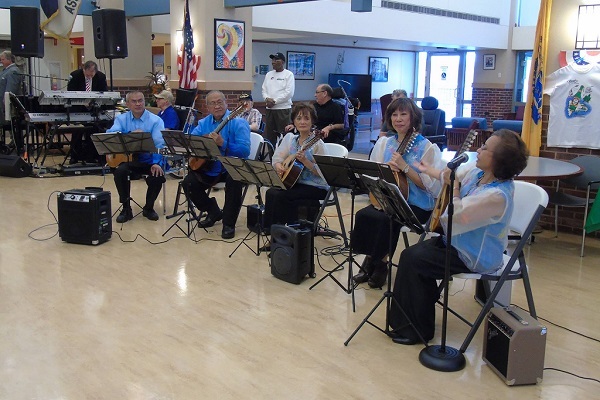 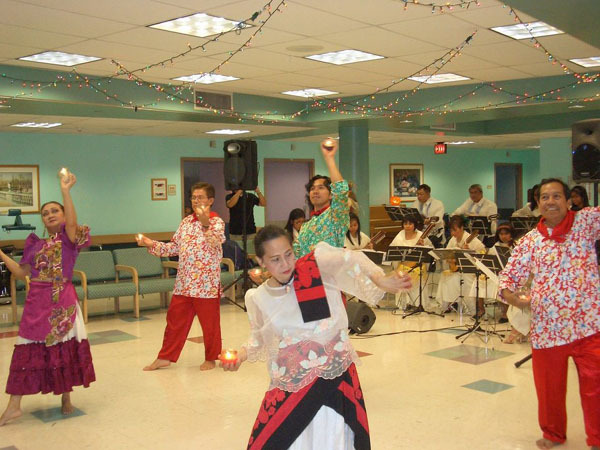 The University of the Philippines Alumni & Friends Rondalla performed traditional Filipino folk music at NJ Veterans Home in Edison, NJ, on November 22, 2016. 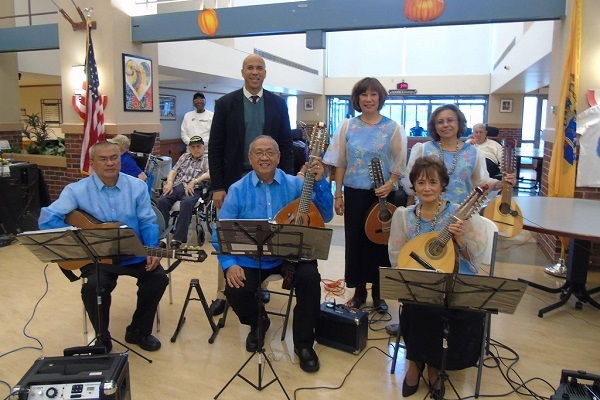 Senator Cory Booker was the guest speaker at this cultural event. 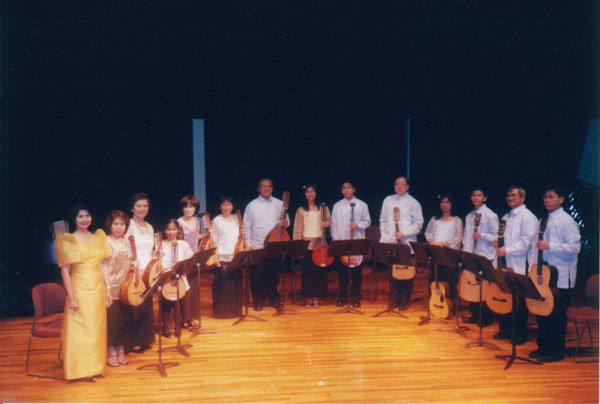 Our previous performance at this venue was in 2007 with Dorothy Elaine delos Reyes (now asst director of recreation there) when she was a junior rondalla member as a high school student. 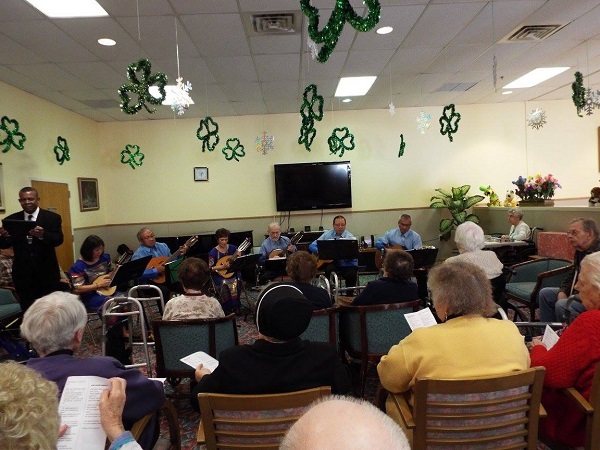 This outreach concert at Edison Hartwyck Nursing Home was funded in part by a grant from the Middlesex County Cultural & Heritage Commission/NJ State Council of the Arts. 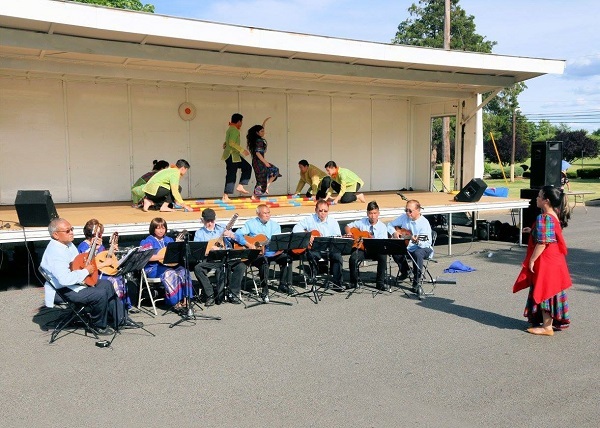 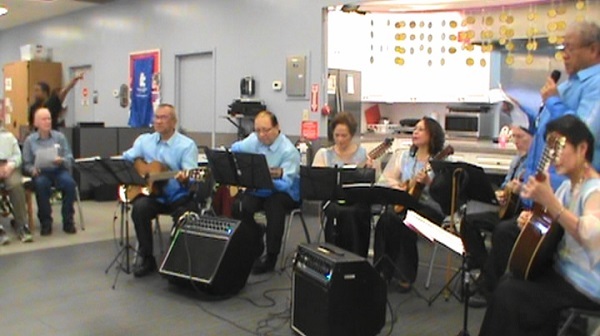 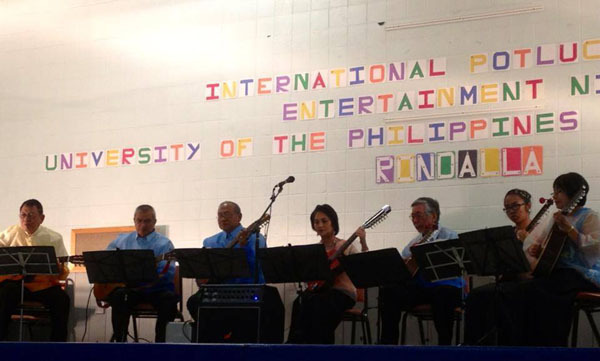 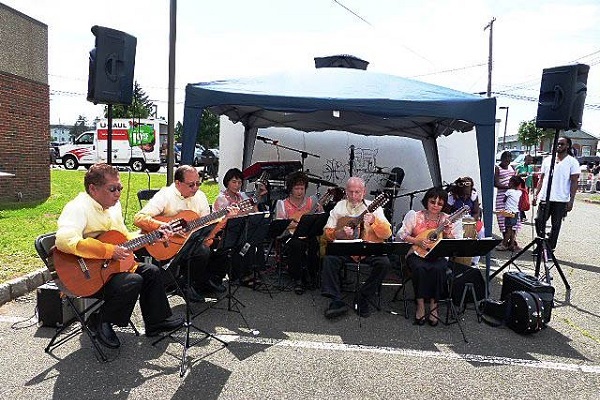 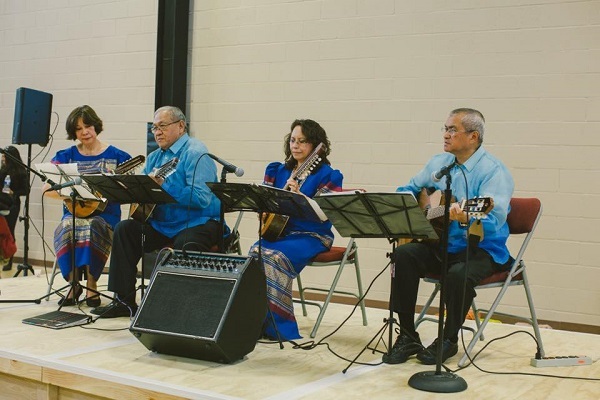 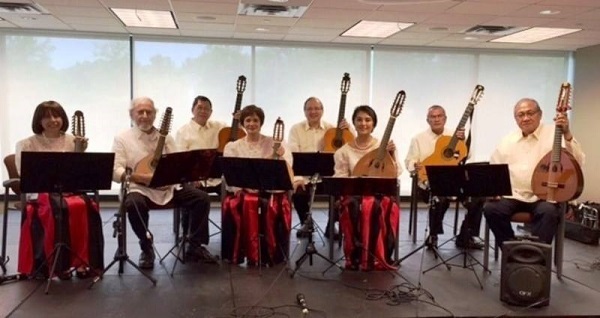 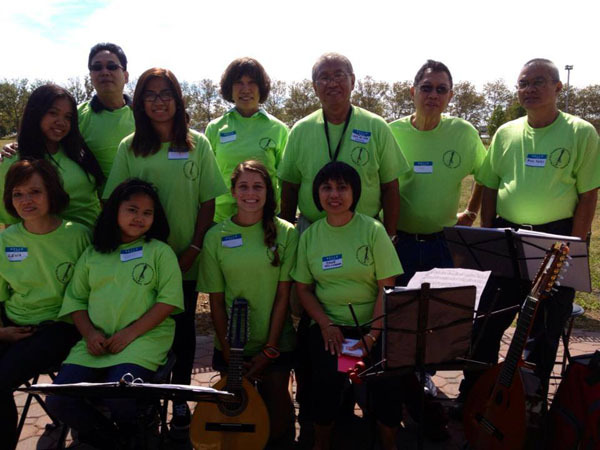 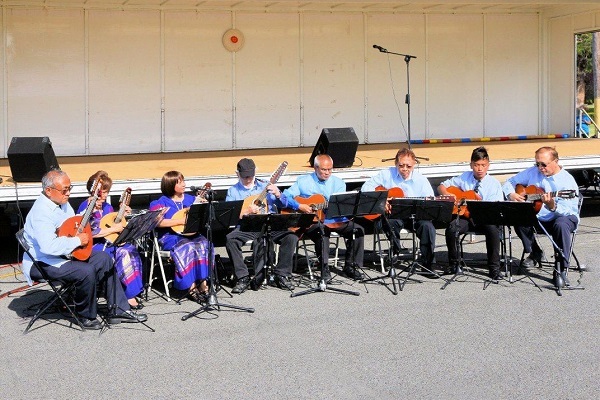 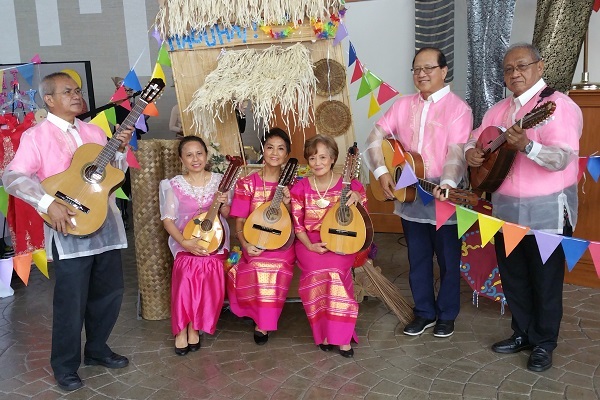 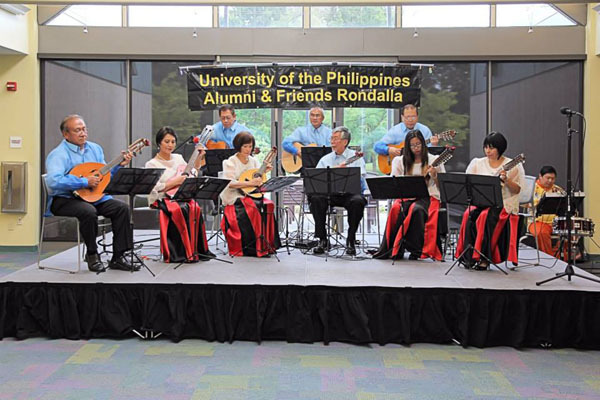 The University of the Philippines Alumni & Friends Rondalla together with the Ligaya Cultural Group performed traditional Filipino folk music and folk dances at the 10th Annual Juneteenth Food & Music Festival 2015 at Edison Job Corps in Edison, NJ, in June 2015. 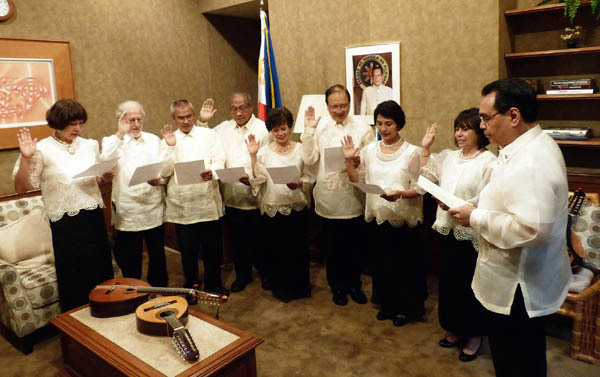 "Pandanggo Sa Ilaw / Oasiwas"
The 2014-2015 officers of the University of the Philippines Alumni & Friends Rondalla take their oath of office before Consul General Mario Lopez de Leon, Jr., at the Philippine Consulate General in New York City. 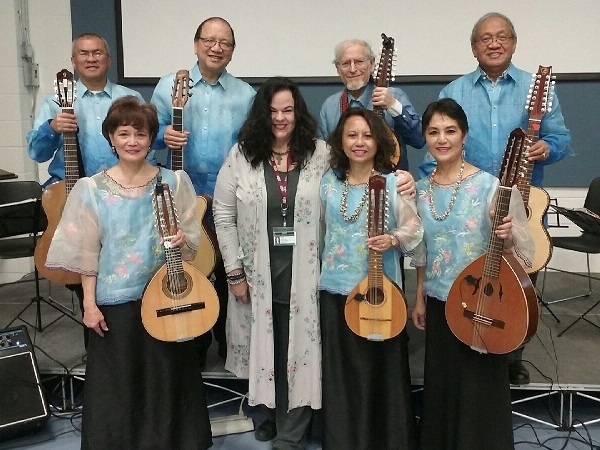 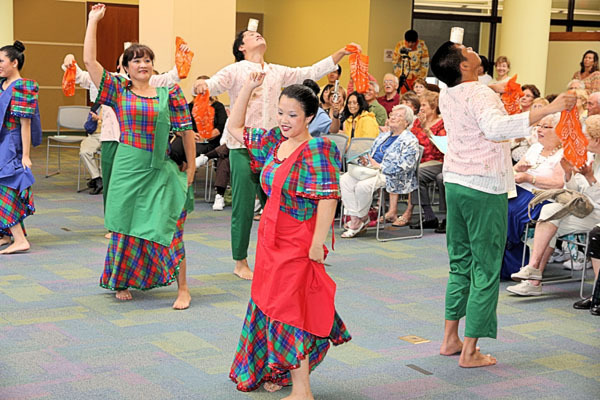 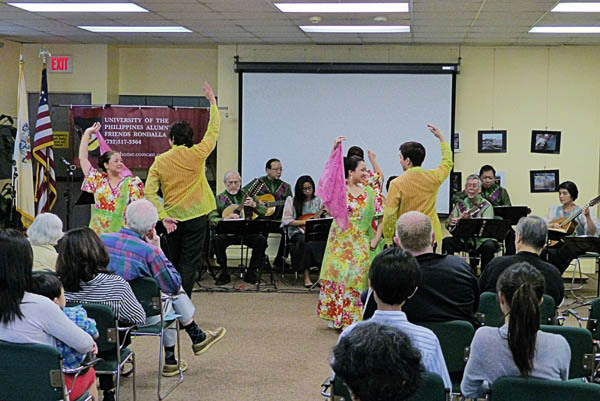 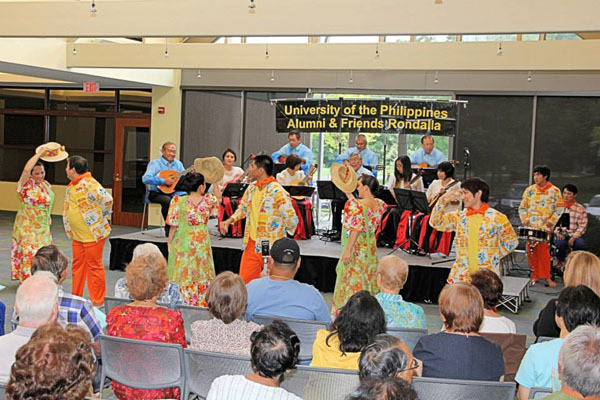 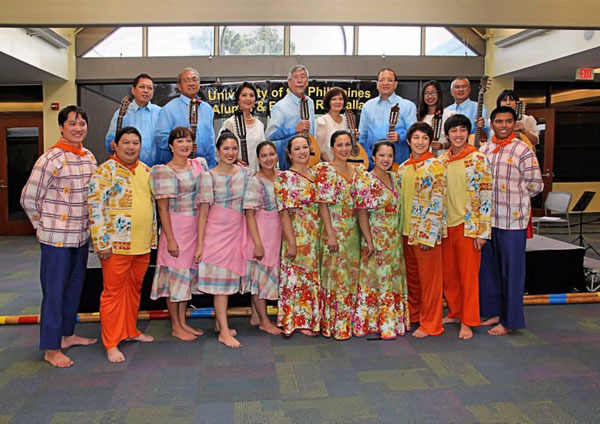 The University of the Philippines Alumni & Friends Rondalla together with the Ligaya Cultural Group presented traditional Filipino folk music and folk dances at New Brunswick Free Public Library in New Brunswick, NJ, on May 18, 2014. 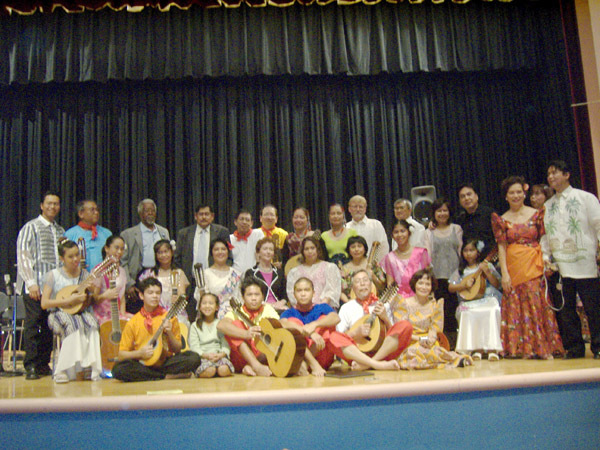 Program funded in part by Middlesex County Cultural & Heritage Commission thru a grant by NJ State Council on the Arts. 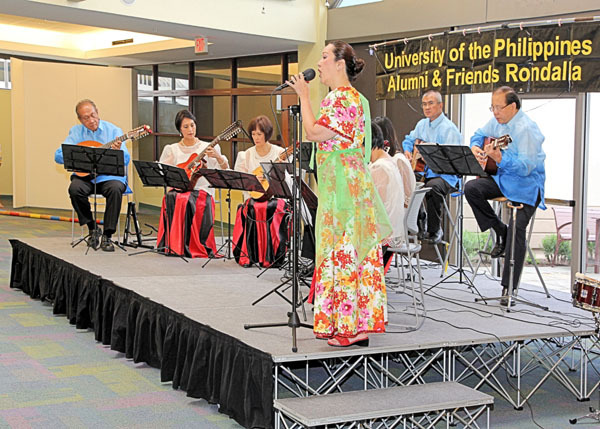 The University of the Philippines Alumni & Friends Rondalla together with the Ligaya Cultural Group performed traditional Filipino folk music and folk dances at the Plainsboro Recreational & Cultural Center in Plainsboro, NJ, on August 3, 2013. 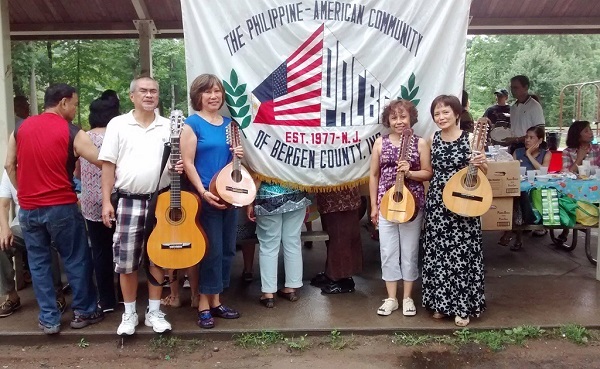 Concert presented by the Middlesex County Cultural & Heritage Commission and the Folklife Program of New Jersey. 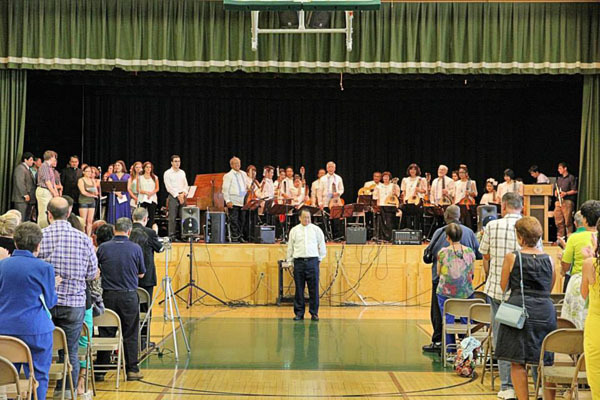 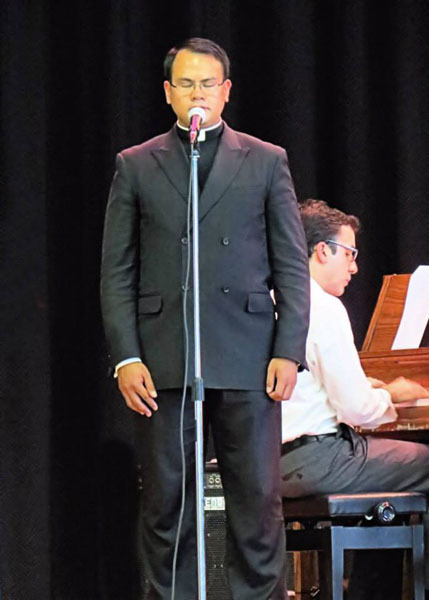 A tenor, Brother Josef, from his Legionaires of Christ headquarters in Atlanta, GA, hosted a tribute concert for Brittany DeNitzio at South Plainfield Middle School in South Plainfield, NJ, on July 14, 2013. 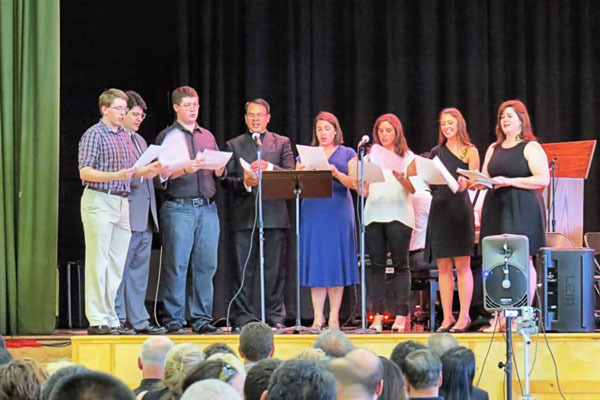 High school classmates and friends also shared their music theater talents in support of Brittany, a South Plainfield resident with leukemia. 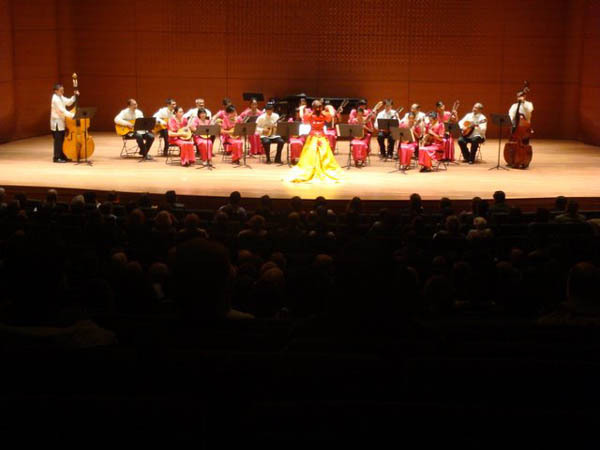 The UPAFR celebrated its 20th year with a concert in the Dorothy Young Center for the Arts Concert Hall at Drew University in Madison, NJ, on November 19, 2012. 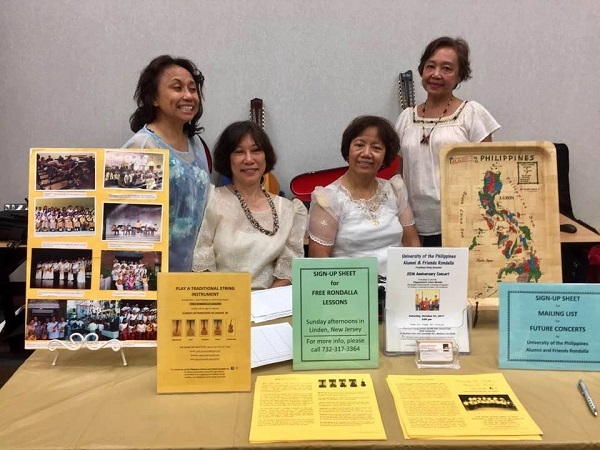 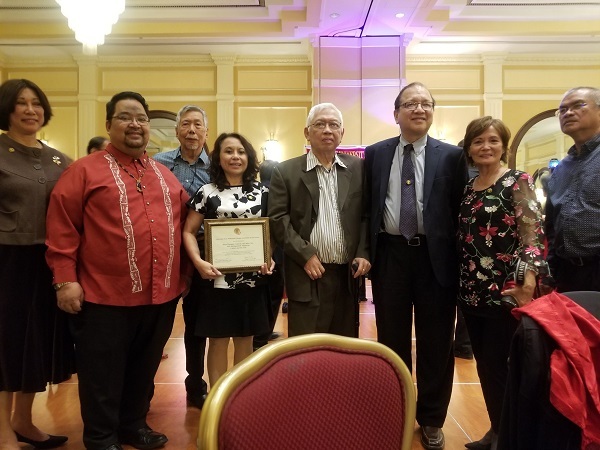 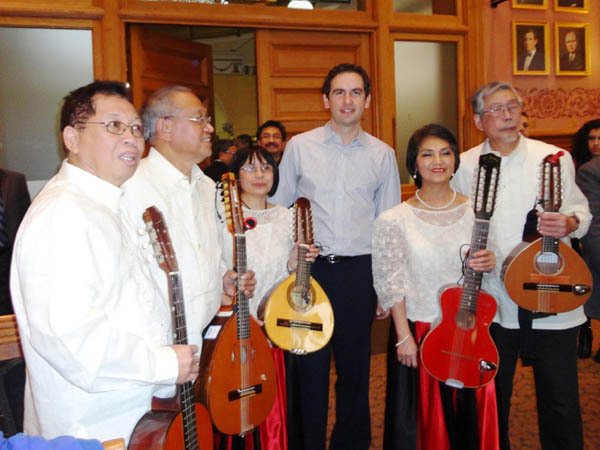 Proceeds were earmarked for purchase of musical instruments to benefit the Pagyamanin Likas Musika (Enriching Native Music) rondalla instrument lending program for children in the Philippines. 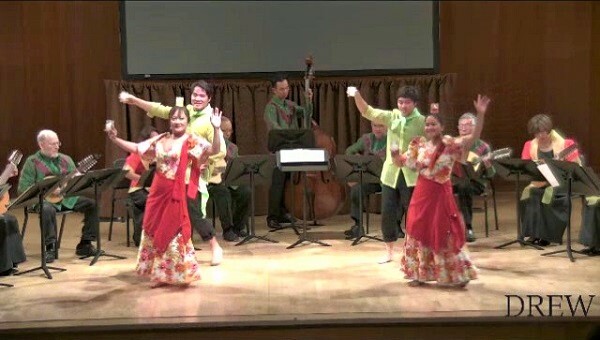 The New Jersey Dance Theater Ensemble rendered several numbers. 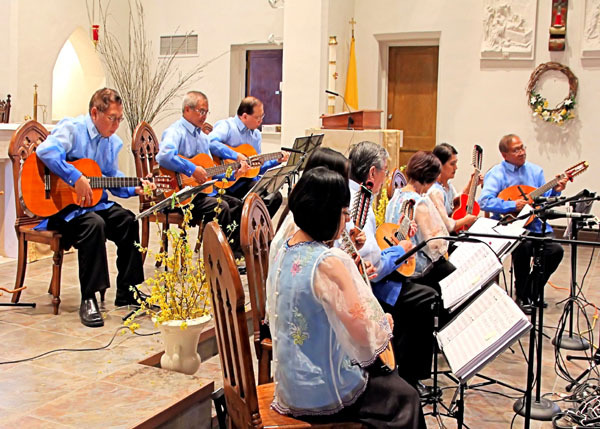 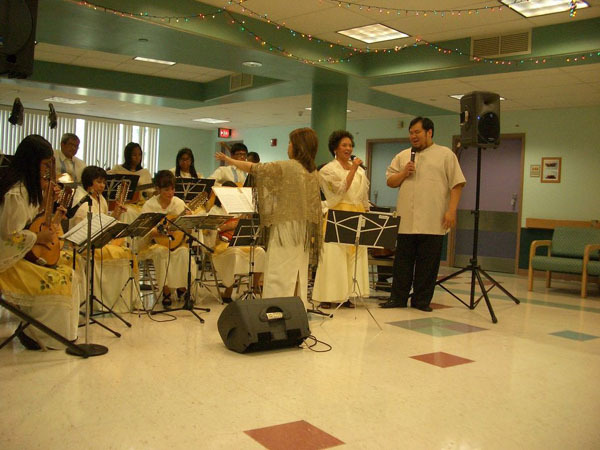 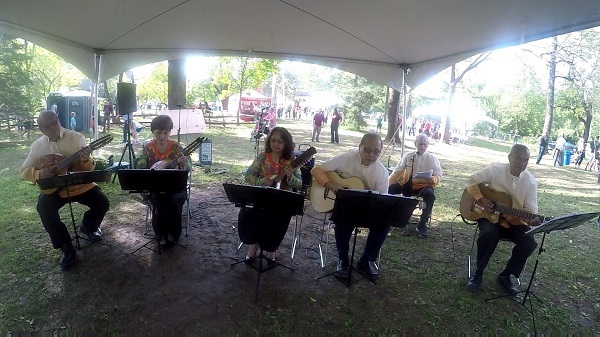 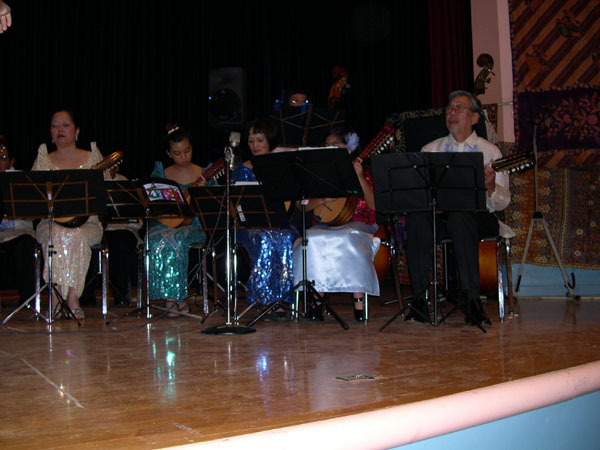 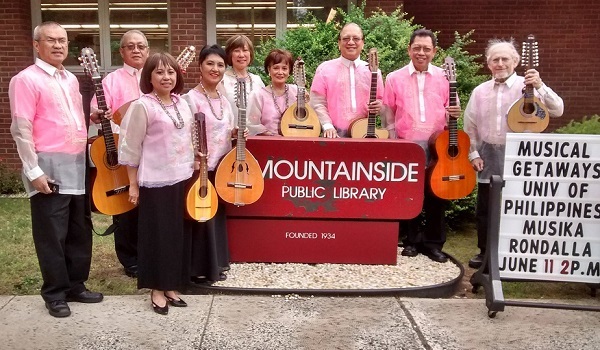 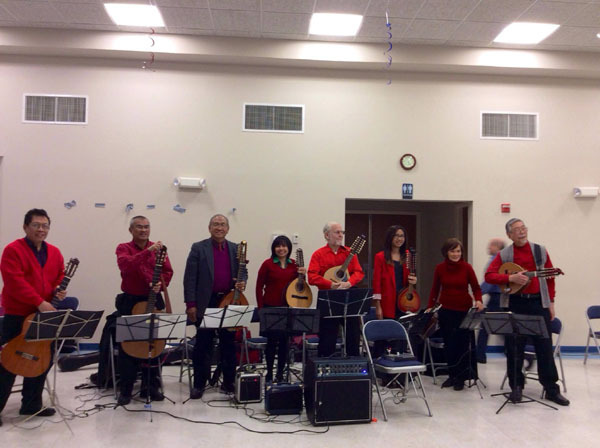 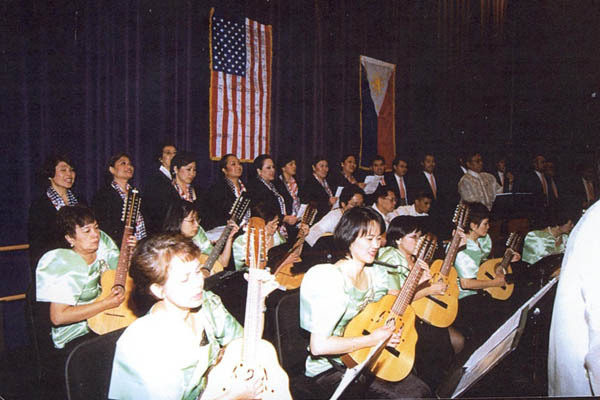 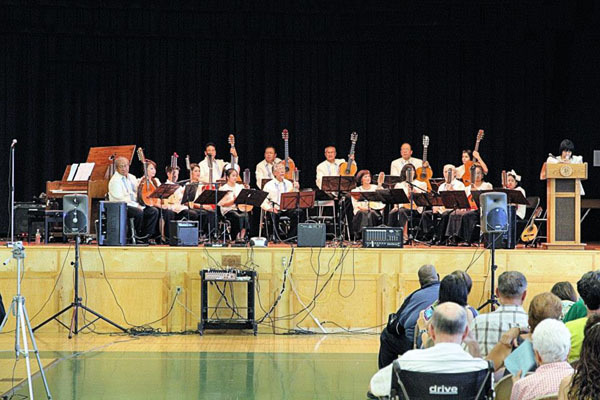 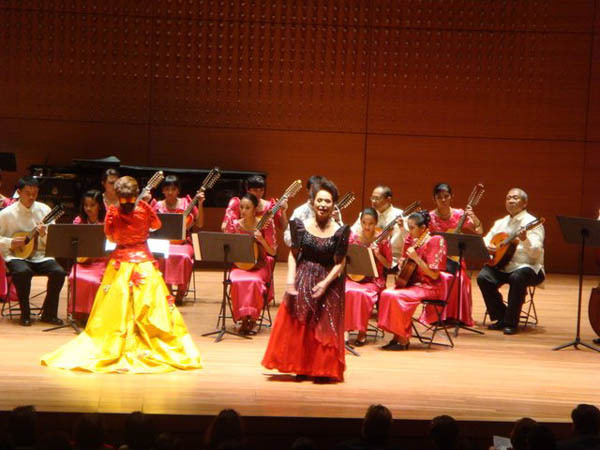 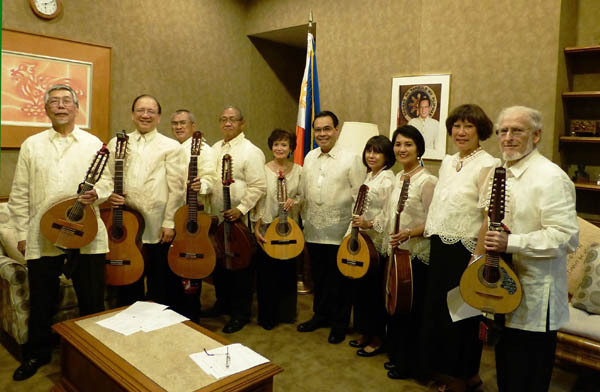 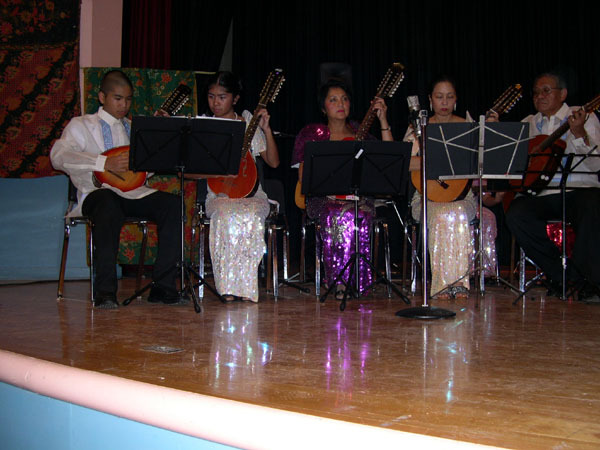 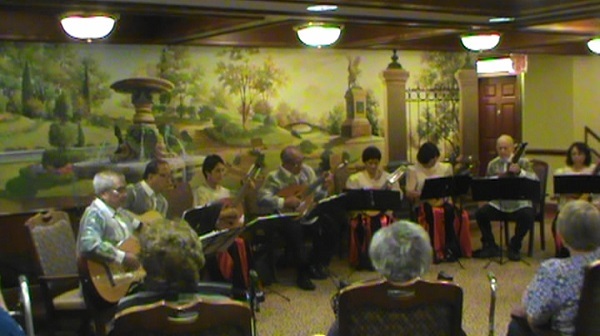 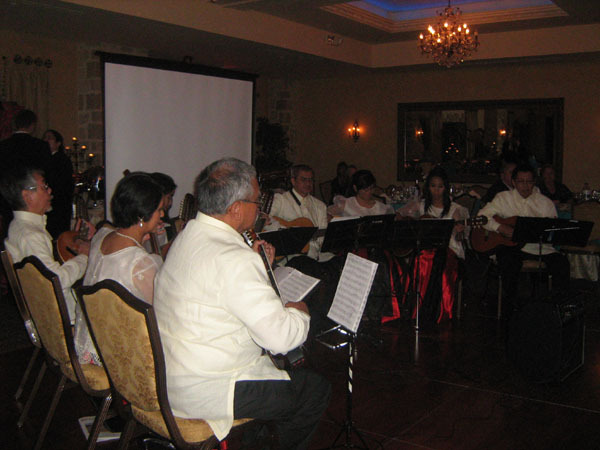 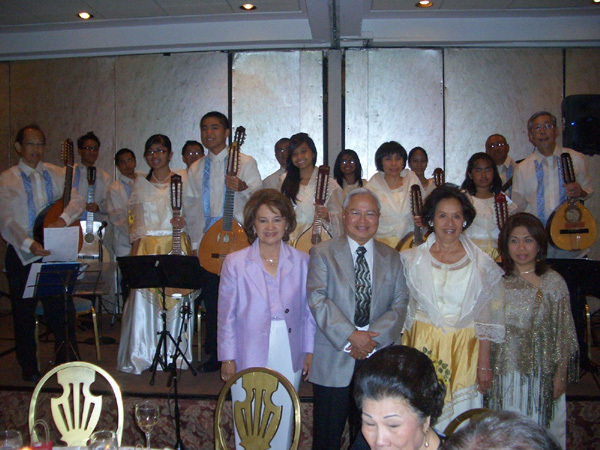 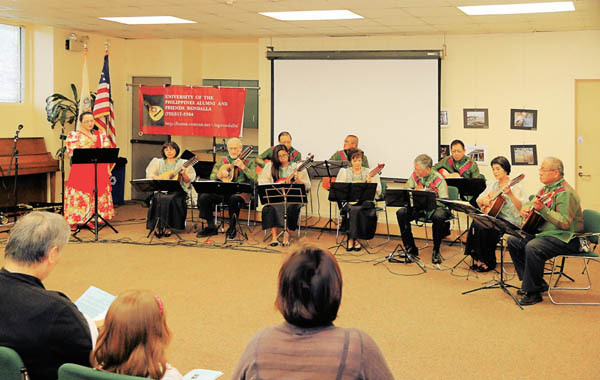 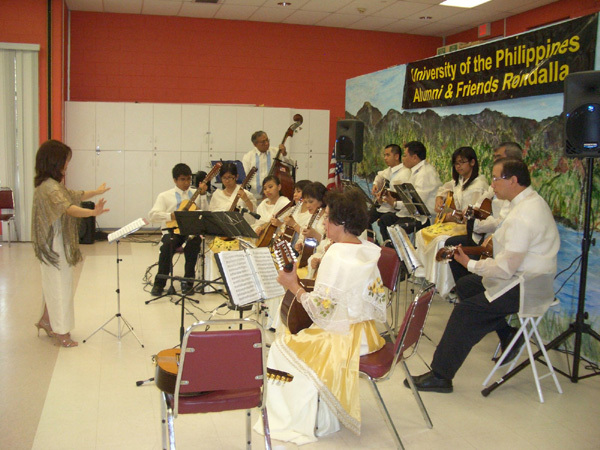 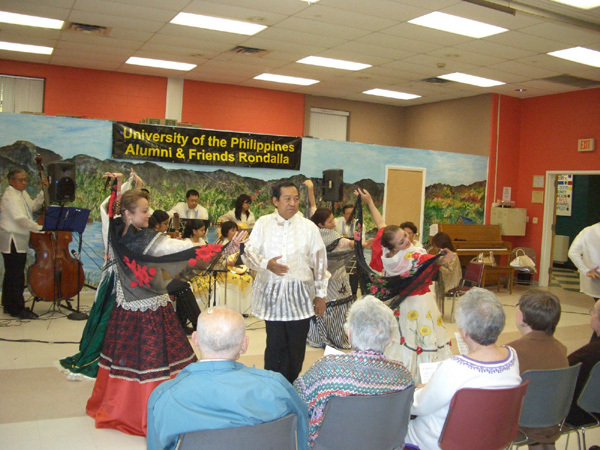 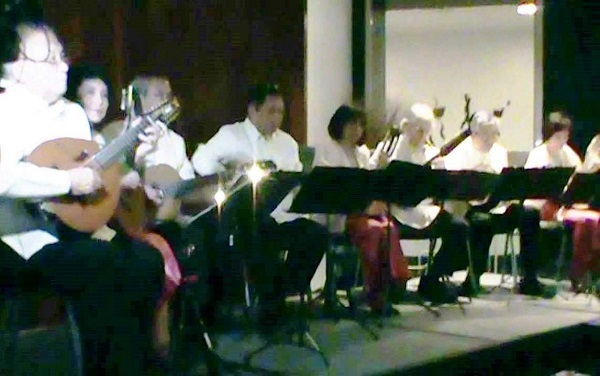 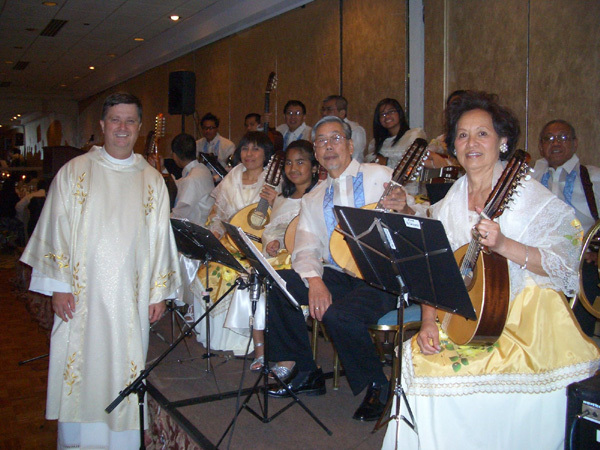 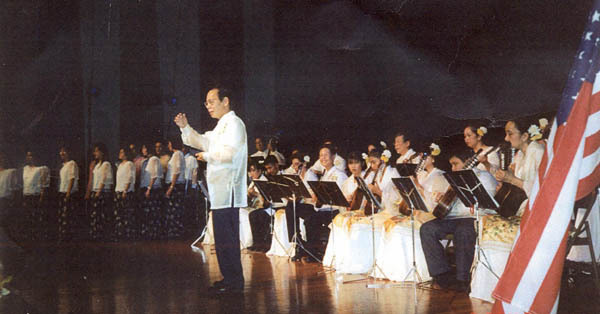 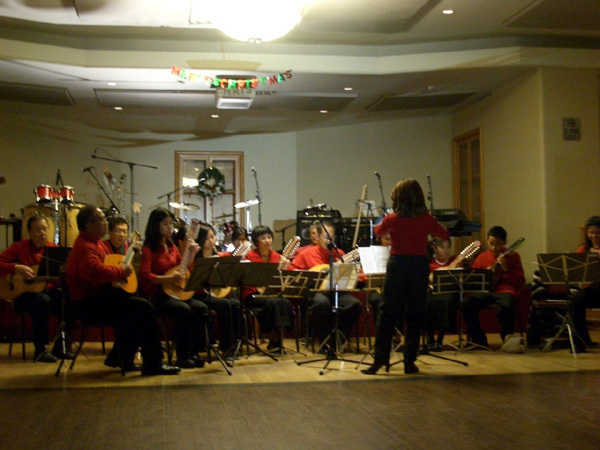 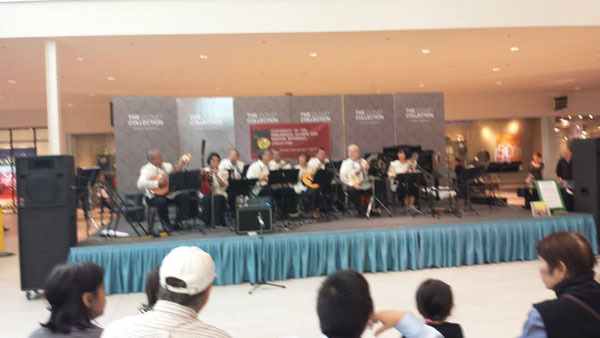 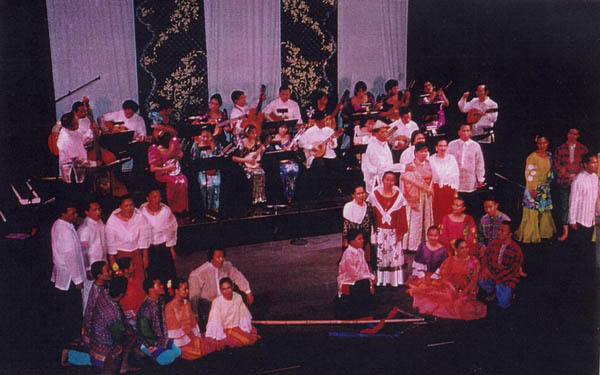 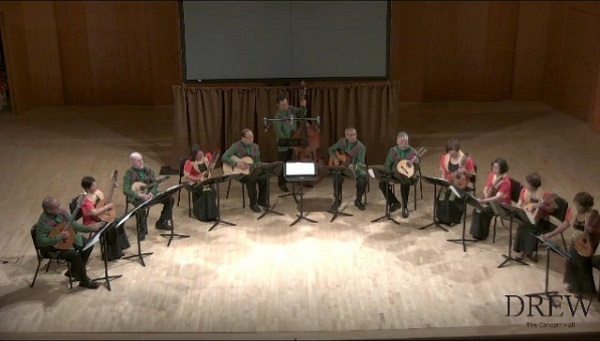 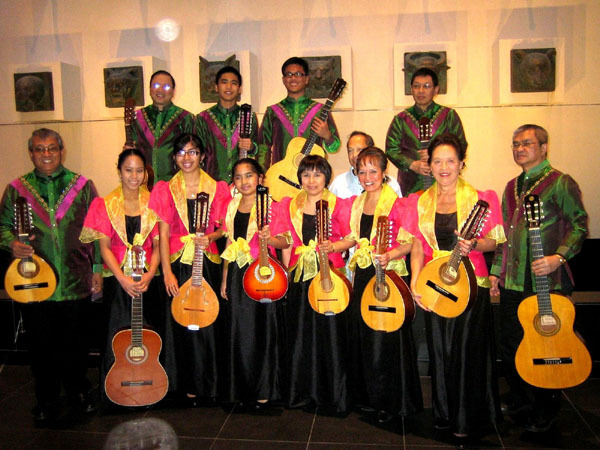 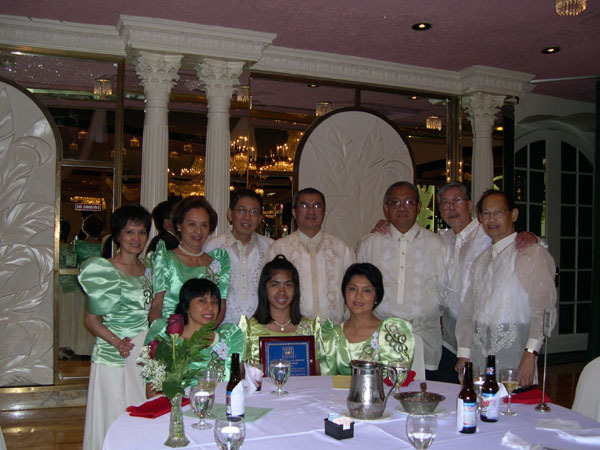 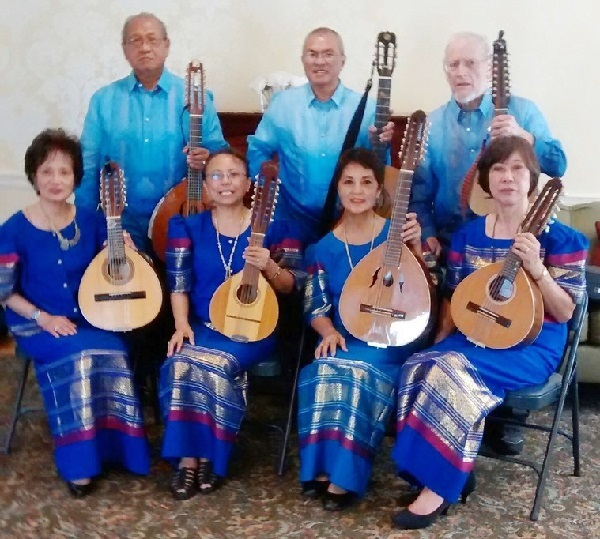 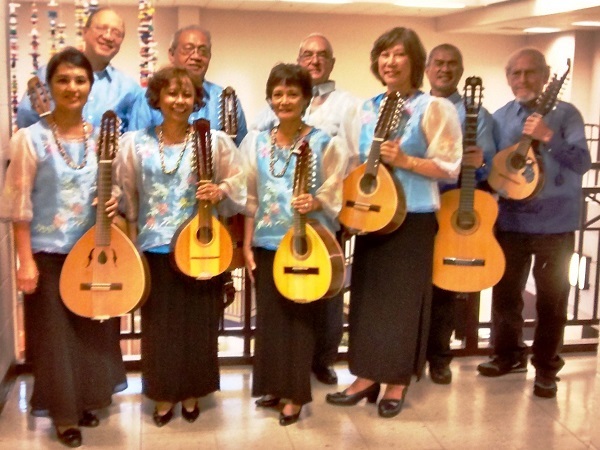 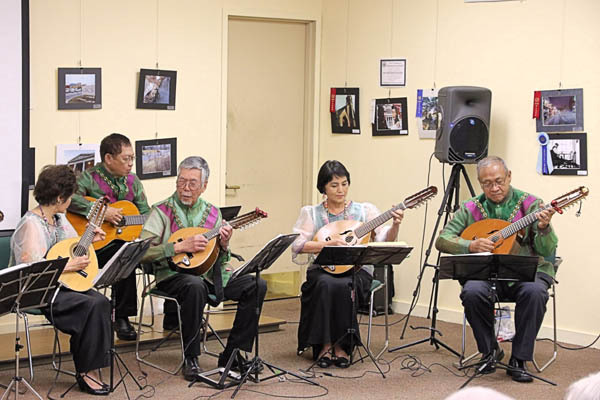 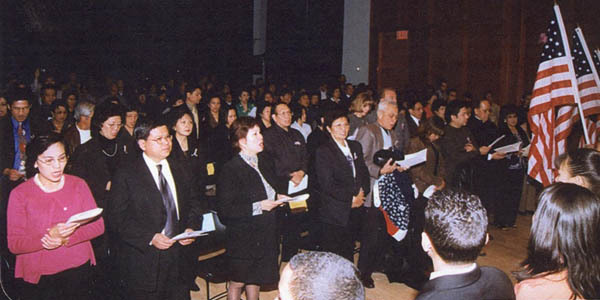 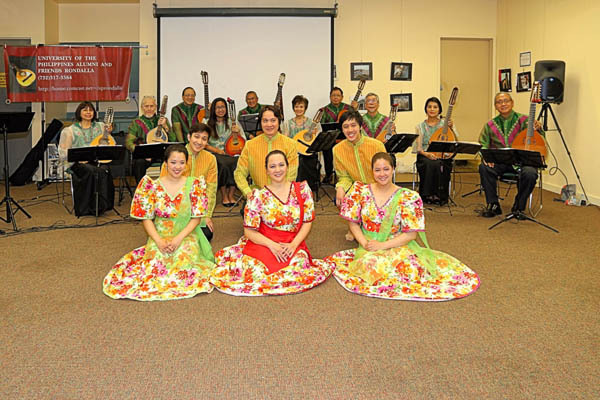 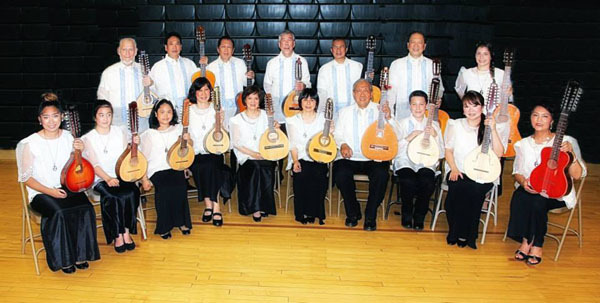 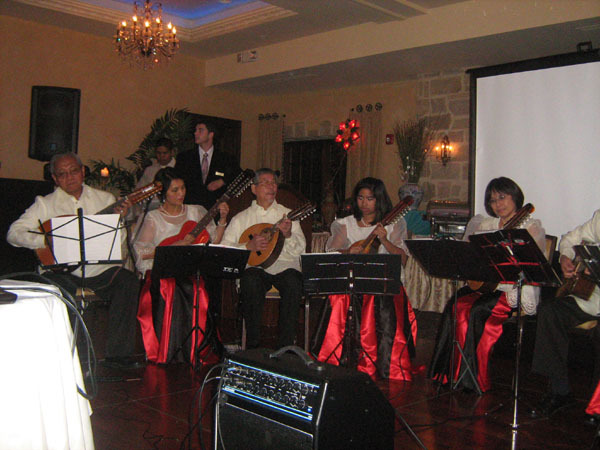 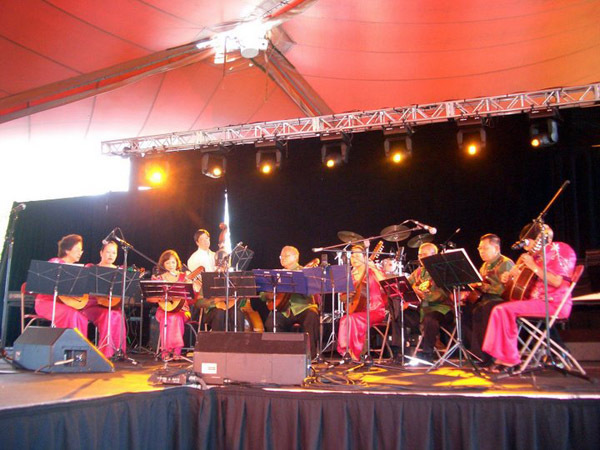 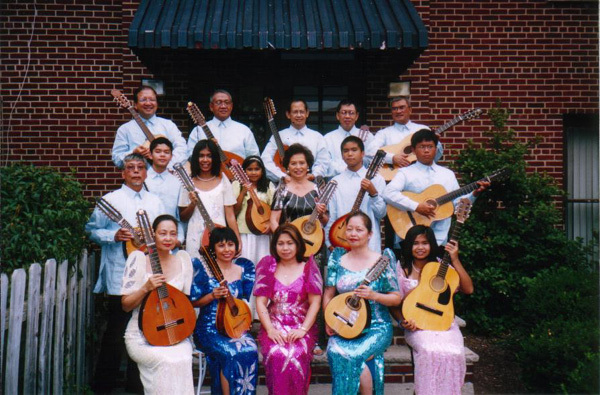 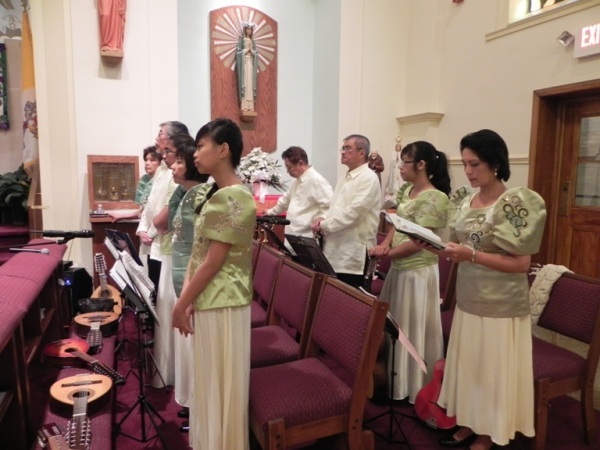 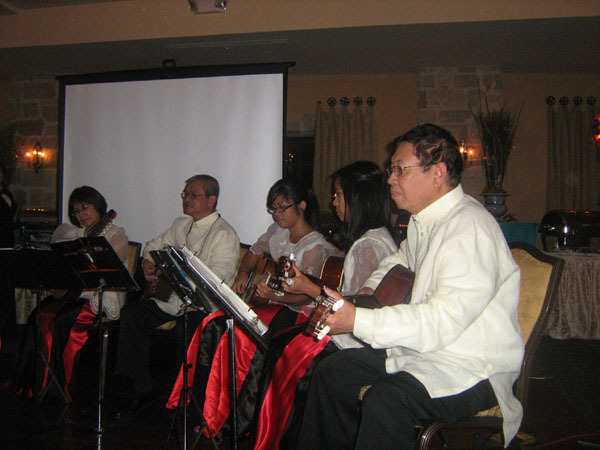 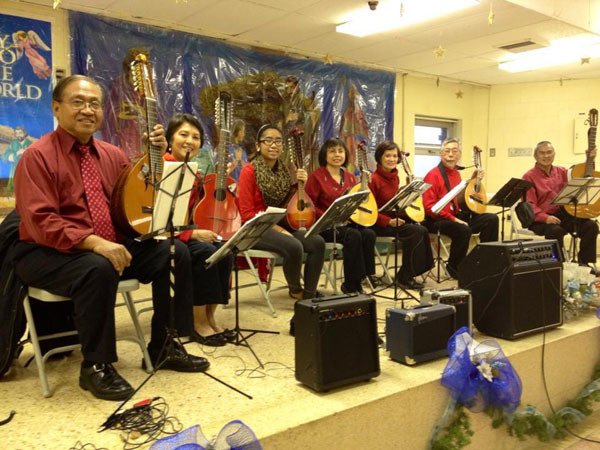 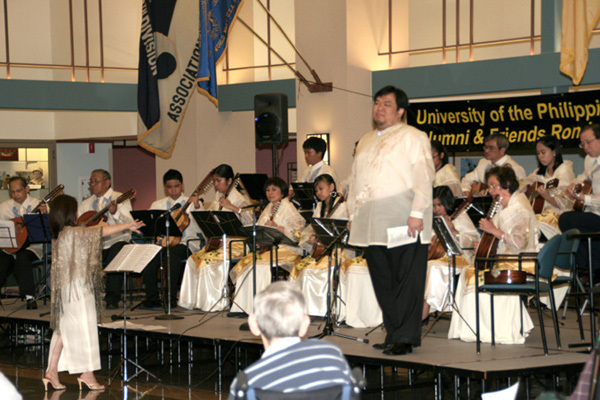 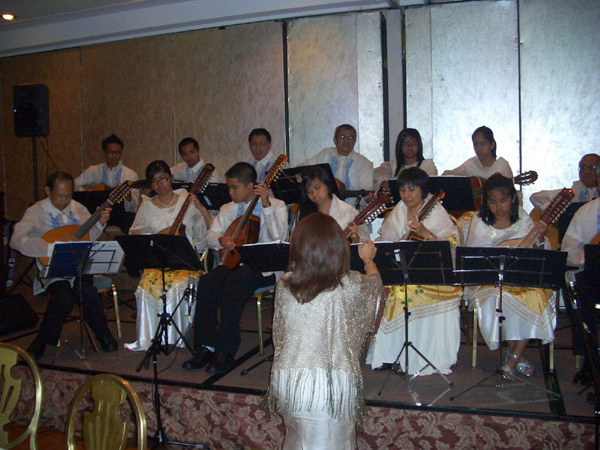 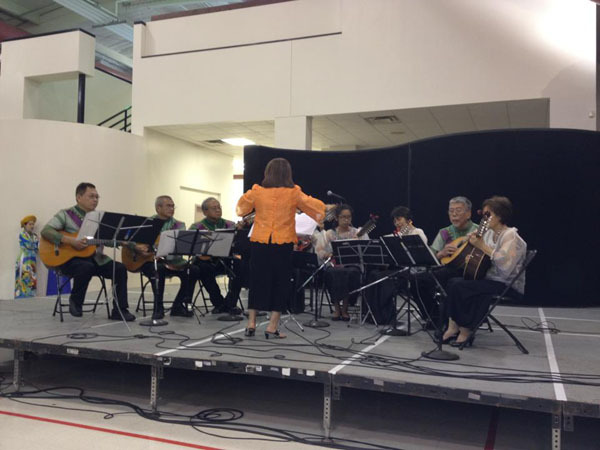 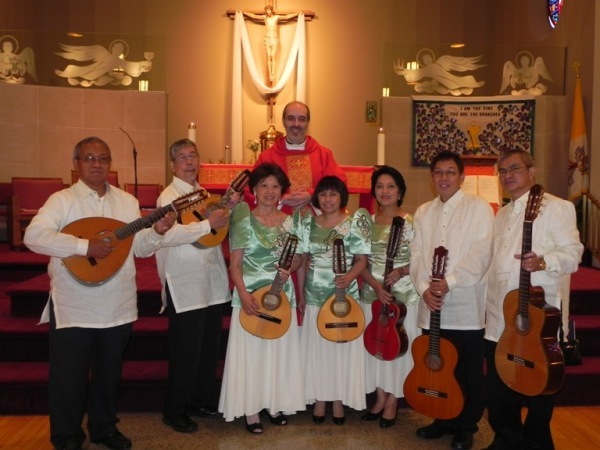 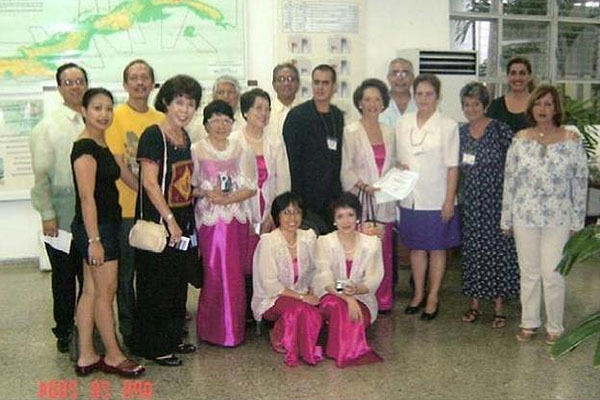 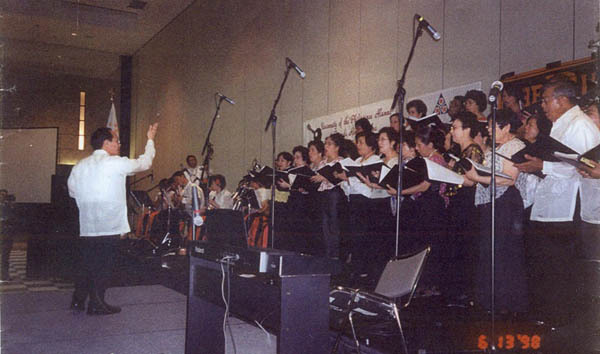 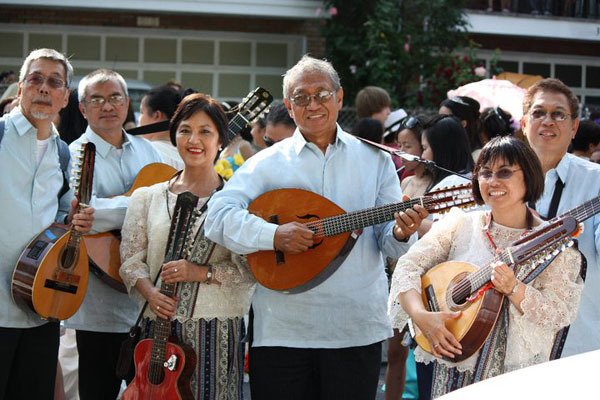 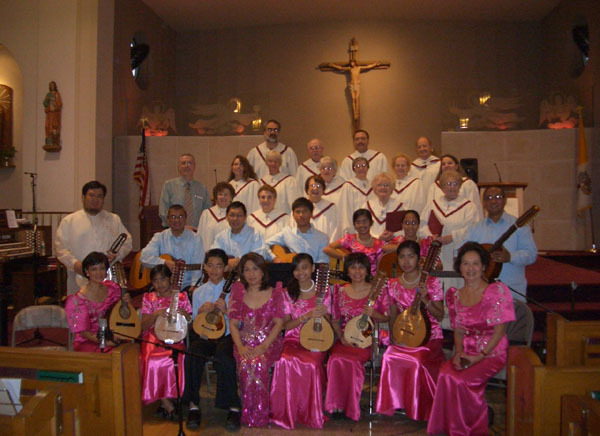 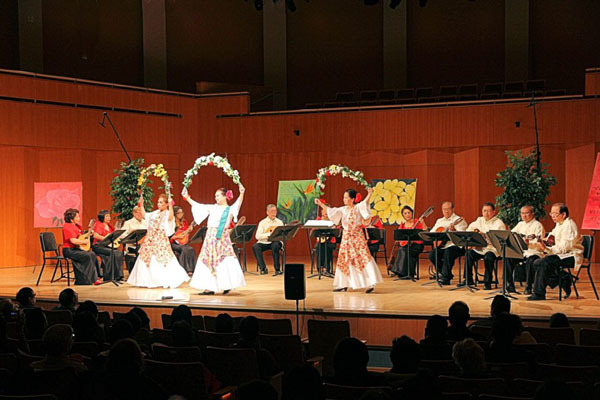 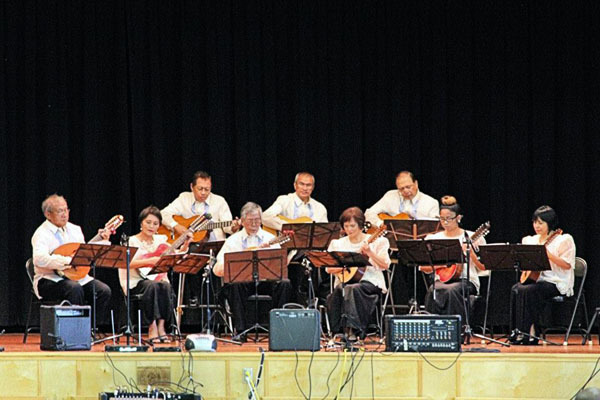 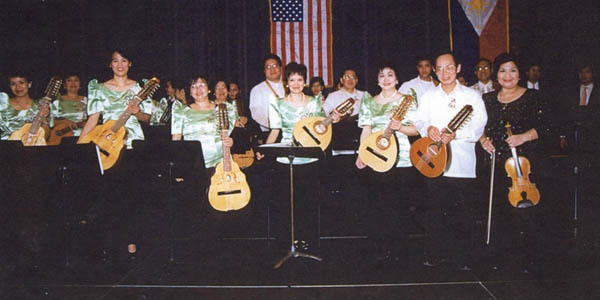 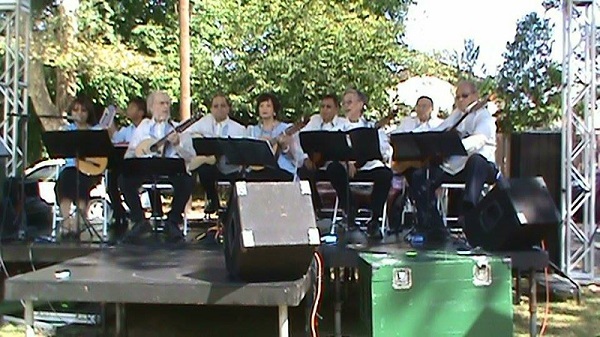 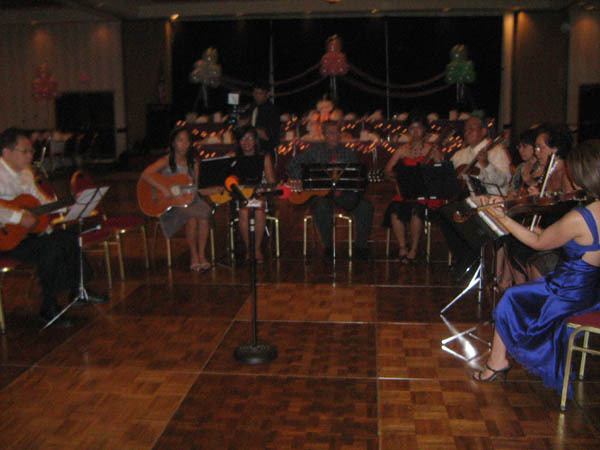 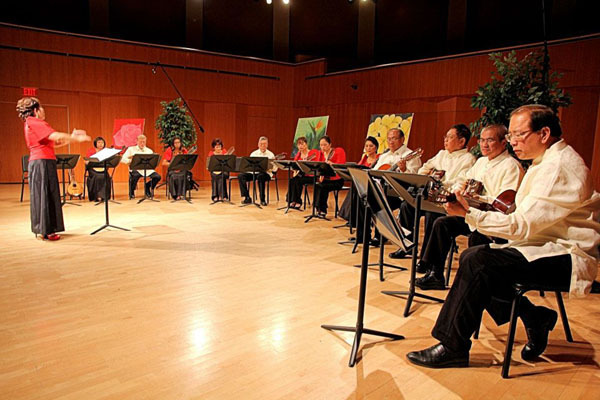 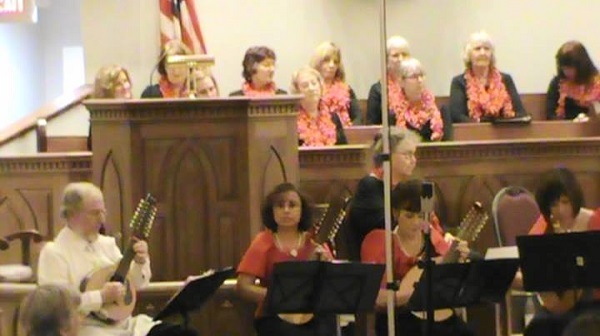 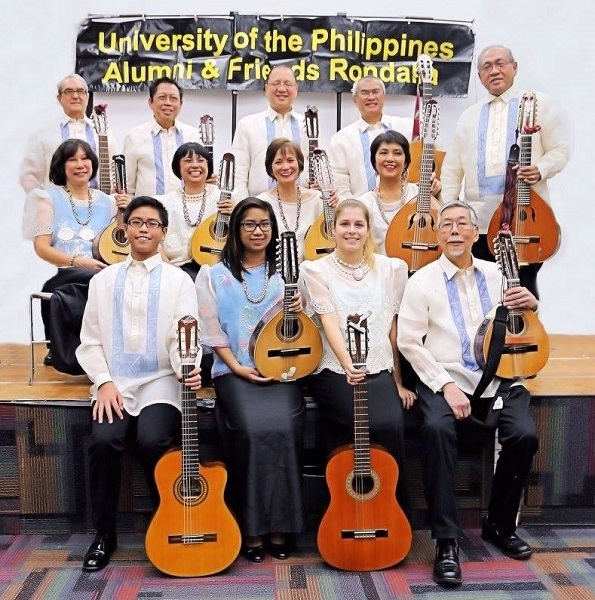 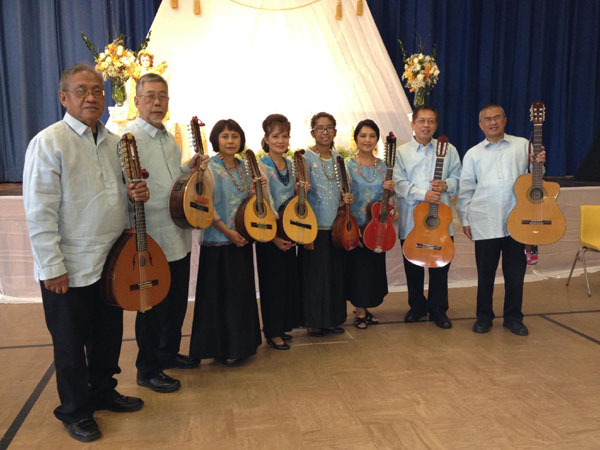 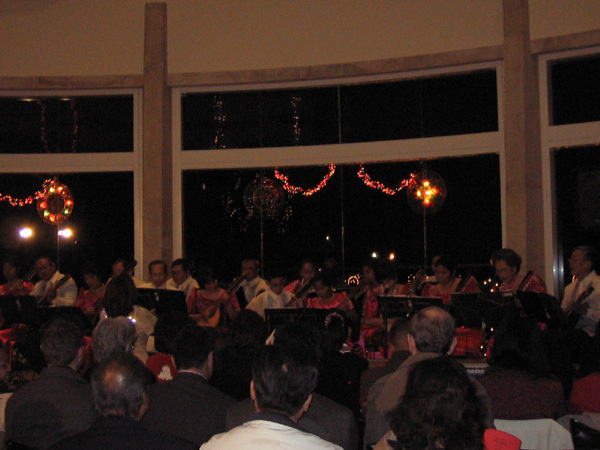 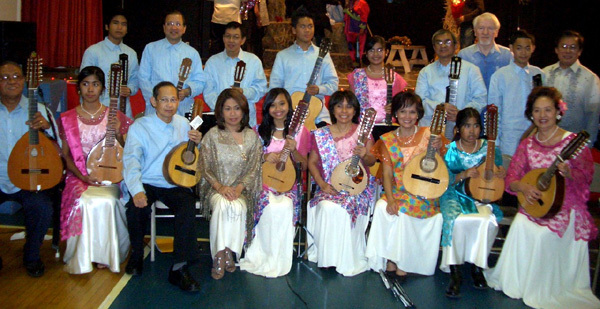 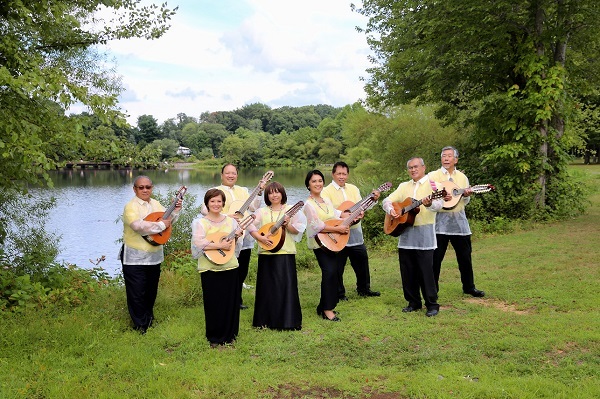 In 2007, the UP Alumni and Friends Rondalla presentied a series of concerts made possible in part by funds from the New Jersey State Council on the Arts/Department of State, a Partner Agency of the National Endowment of the Arts and through a grant provided by the Middlesex County Cultural and Heritage Commission/Board of Chosen Freeholders. 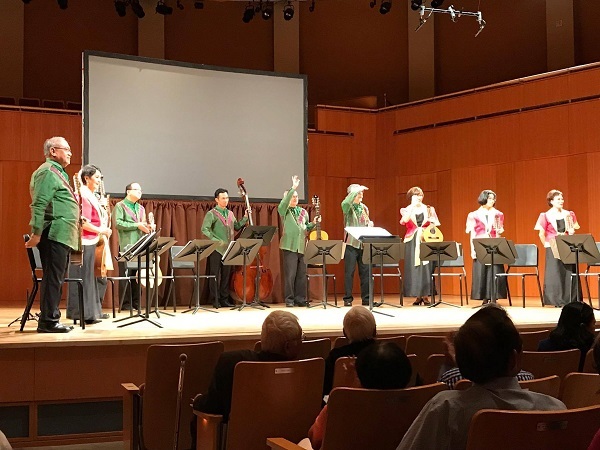 Our purpose for these performances is to reach a wider audience and to make connections to groups that have physical and financial constraints in attending regular concert venues, by bringing our programming to the underserved. 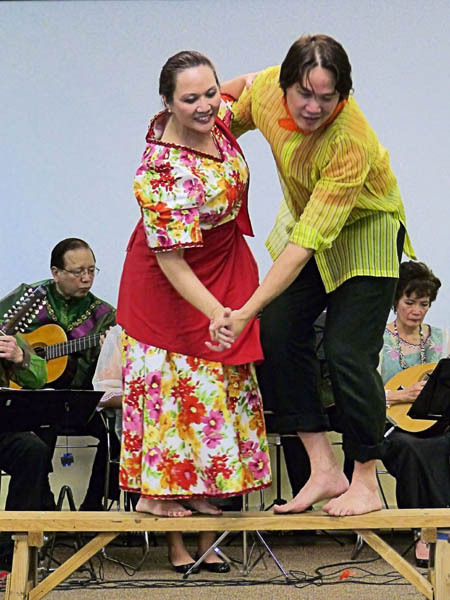 Guest artists are tenor Anthony Lim, soprano Amor McGuinness, and the NJ Dance Theater Ensemble.